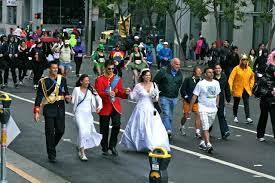 Happy Bay to Breakers, San Francisco! Every May San Francisco looks forward to its annual 12K foot race that spans the city from the bay to the ocean: Bay to Breakers. 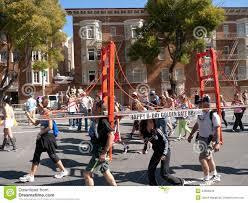 Now in its 102nd year, this world-renowned race is a celebration of quintessential San Francisco. So this Sunday, many of us will be pulling our costume boxes out of our closets and communing with our fellow San Franciscans from the Embarcadero to the Great Highway. As for DEM, we’ll be communing with our fellow city agencies and race organizers in our activated Emergency Operations Center (EOC) as we support event operations and coordinate city resources. We also will provide information to San Francisco about traffic and transit, as well as any other tips that the public needs to know about as the city rallies (either as an observer or a runner) around this race. San Francisco routinely activates our EOC for citywide special events like New Year’s Eve, Pride, and past and future San Francisco Giants World Series Championships. 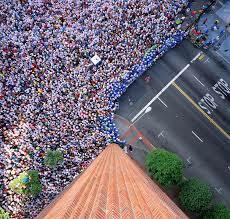 This allows us to support event operations, coordinate city resources, and provide public information. EOC activations also give us an opportunity to practice for unplanned events and not-so-everyday emergencies like earthquakes. 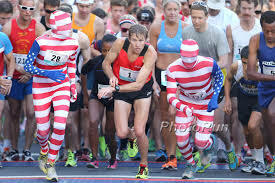 For this Sunday’s Bay to Breakers race, the EOC will be activated so we have specific people in the room who can quickly coordinate resource requests. This weekend’s activation includes Department of Emergency Management staff, the Police Department, Fire Department, ambulance providers, public works, and race organizers. 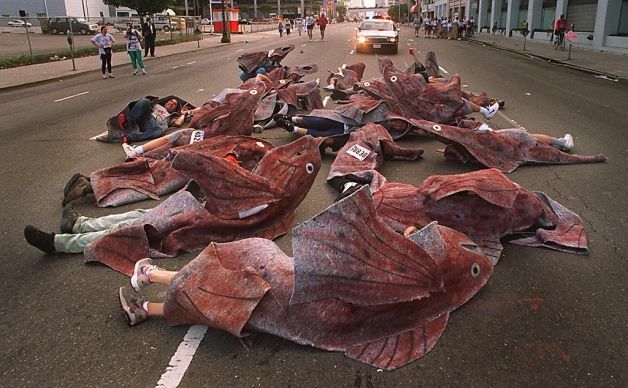 One of our main priorities in support of the Bay to Breakers Race is to provide the public with important information about the race (e.g., transit and traffic notifications). We will push out this information on our SF72 Crisis Map and on @SF_Emergency. And to kick off the public information, here’s SFMTA’s Bay to Breakers express service schedule on Sunday. 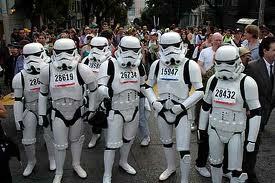 Here’s to the best Bay to Breakers race ever, San Francisco, and may the best…costume win! 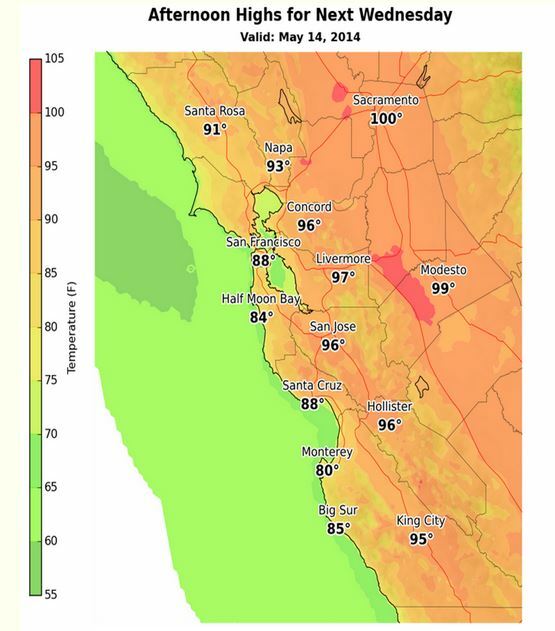 It’s going to be pretty hot in San Francisco over the next few days. That said, we want to remind everyone of some good public health recommendations (brought to us by our friends at the San Francisco Department of Public Health) to keep us cool and comfortable today and tomorrow. It is important to check regularly on adults at risk, especially the isolated elderly. for signs of heat exhaustion or heat stroke. Drink fluids frequently throughout the day, before you feel thirsty. Check on the elderly regularly. Limit outdoor activity, especially during the hottest part of the day. Take frequent breaks in the shade when spending time outside. Wear light‐colored, light‐weight clothing and a hat. Avoid alcoholic beverages and caffeinated drinks. friend’s or neighbor’s home, store, mall, museum, or movie theater, or, visit a cooling center. when you are at home. Avoid strenuous activity, or plan it for the coolest part of the day, usually in the morning. exercising and stop or rest if any occur. Bathing or showering with cool (not cold) water can be helpful for those able to do so safely. adults at least twice a day and watch them closely for signs of heat exhaustion or heat stroke. Looking for cooler places to hang out? Think community centers, movie theater, libraries, swimming pools and/or shaded parks. For more information about heat waves and and how to prevent heat illness, check out SFDPH’s Frequently Asked Questions about Heat Waves and Heat Illness . 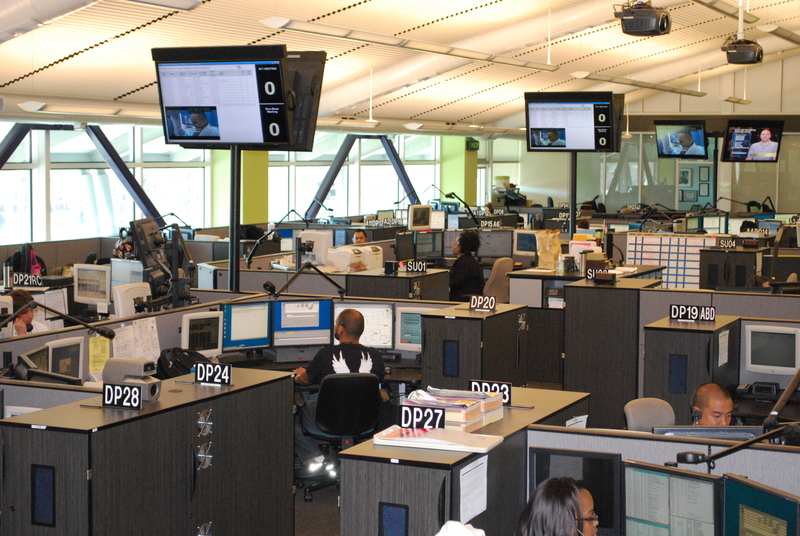 Two nights ago, DEM upgraded San Francisco’s 9-1-1 Computer Aided Dispatch System (CAD). Why? Because our current dispatch system is 14 years old and is no longer supported by the vendor (it happens…anyone remember Lotus Notes and WordPerfect?). But updating a sunsetting system isn’t the only benefit of this CAD upgrade; In addition to technical support, our new dispatch system will have features that allow us to deploy emergency services more efficiently. What’s a CAD and why is it important? Computer Aided Dispatch allows us to identify, coordinate, and track first responders during police, fire, and medical emergencies. That said, it’s critical for the safety of the public and first responders to have an up-to-date and fully supported system. What we did to get ready for the upgrade. Doing an upgrade of this nature is a very complex IT project and is no small feat; it took months and months of planning, preparation, and training. And because being able to call 9-1-1 is a vital city service (that can’t lapse), we had to do this upgrade while the trains were running, so to speak, to ensure no disruption to 9-1-1. 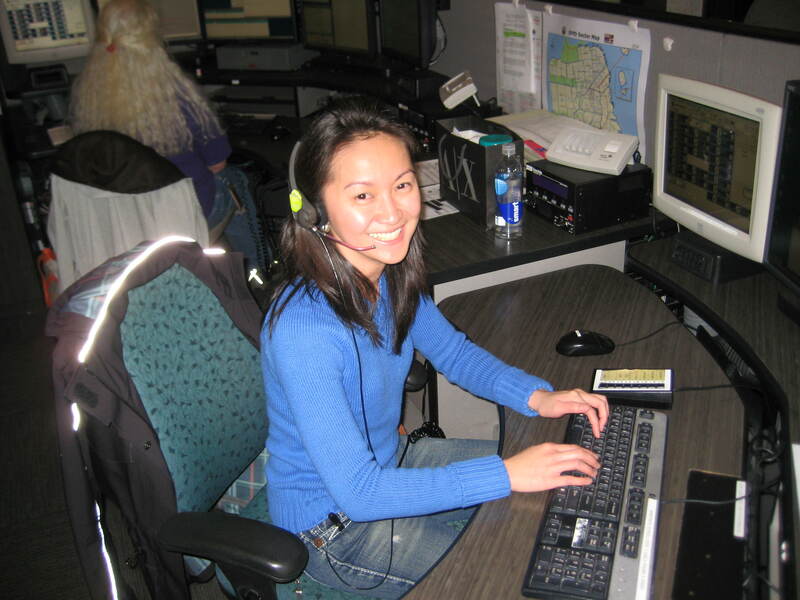 Since March 2013, San Francisco’s new CAD system has been online and tested thoroughly with our 9-1-1 dispatchers and our partners in the Police Department, Fire Department, and the Municipal Transportation Agency. More than 50,000 test calls were made in the system. This includes test calls to mobile data terminals in police, fire, and emergency medical response units in the field. Various scenarios were tested with multiple users to simulate peak call volume and testing to simulate a 500 percent surge in call volume. 9-1-1 dispatchers received three days of initial training plus periodic refresher trainings so they can become familiar with the new system. As we approach day three of the upgrade, a 24/7 team consisting of both DEM personnel and a vendor support team are on site to quickly address issues as they arise during the launch. 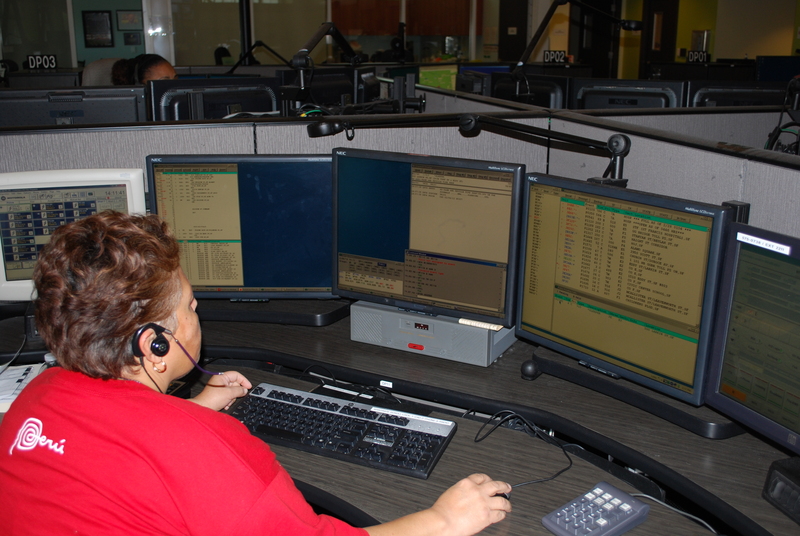 If it becomes necessary, 9-1-1 dispatchers may switch to a common practice called manual mode. This practice has been employed in the past when the existing system has had to go out of service for maintenance. In short: Having our CAD upgraded is a very good thing for anyone in San Francisco who is experiencing an emergency and needing to call 9-1-1, and those who are dispatched to come to their aide.